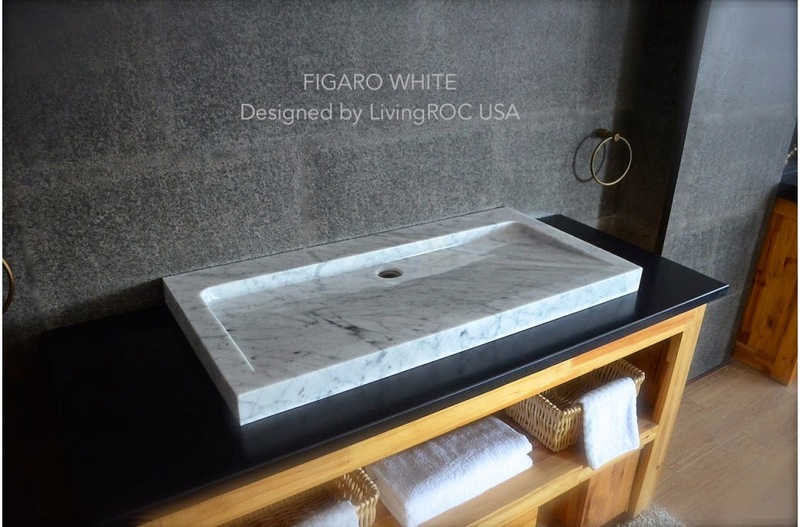 LivingRoc USA-The Blog: NATURAL STONE TROUGH SINKS! 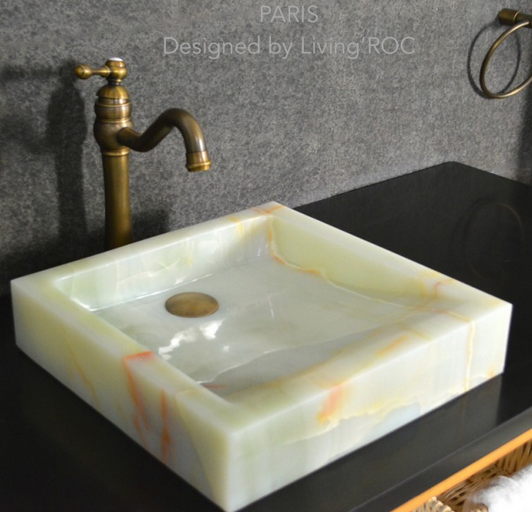 Welcome to our global genuine granite trough sinks at LivingRoc! You will find here a choice of different sink sizes available and ready to be shipped from our warehouse in Los Angeles California, they come in gray and black granite, white Onyx and Carrara Marble. 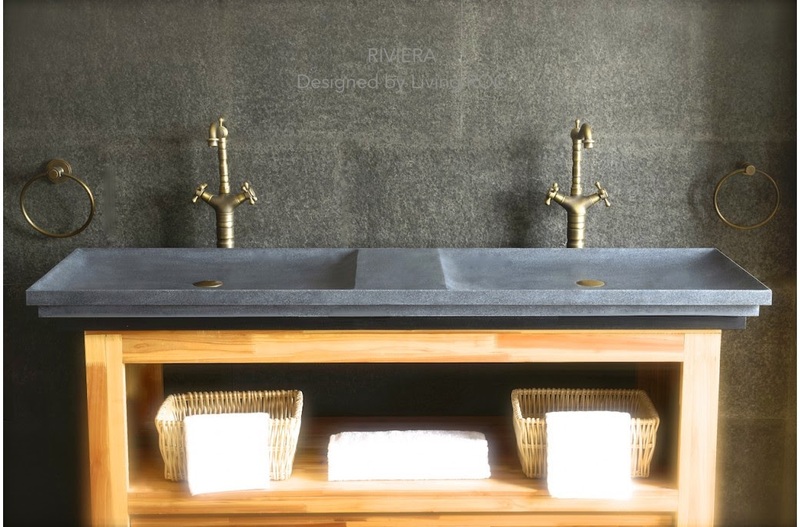 Our LivingRoc's trough sinks are made to last and keep their beauty over times. Feel free to seek our advice by calling our customer service to make your experience of buying from us total and reassuring. Simply our LivingRoc style. Inspired by our Love or Folege models, Figaro White will beautify a smaller space and can provide a modern, serene, and trendy atmosphere in your bathroom. Polished finish and its very convenient slope will add practicality to beauty. Could you imagine one day installing a double black granite trough sink. 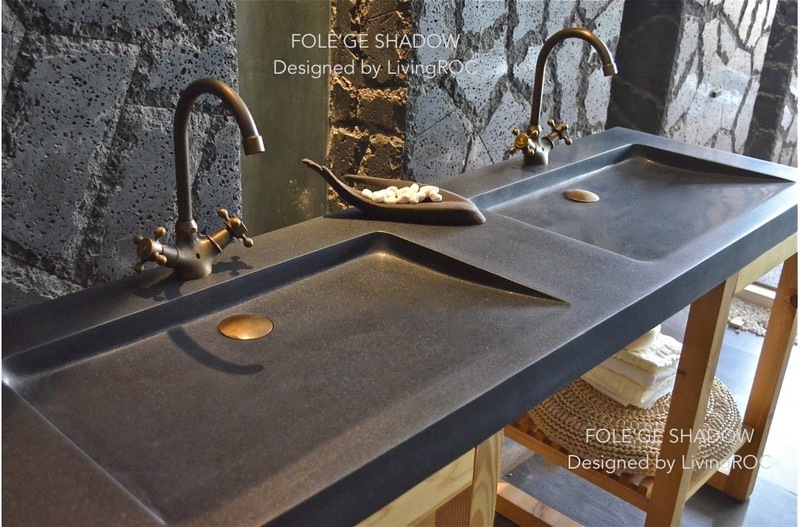 This beautiful piece, Folege Shadow has sleek lines and Zen-style give a simple but chic look. Cut from a rare and invaluable black granite clock you will love this natural stone beauty. Discover the well-being and the restful feeling Pearl, with its pure genuine Onyx can give you. This model is one of our bathroom range stars: Its slim and sleek lines will invite calm and serenity and will delight lovers of beautiful work. At LivingRoc we have chosen the most beautiful natural stones. Natural stone double trough sink Riviera 63" genuine interior trendy gray granite. The "Exceptional" cut in the block without any comparisons. 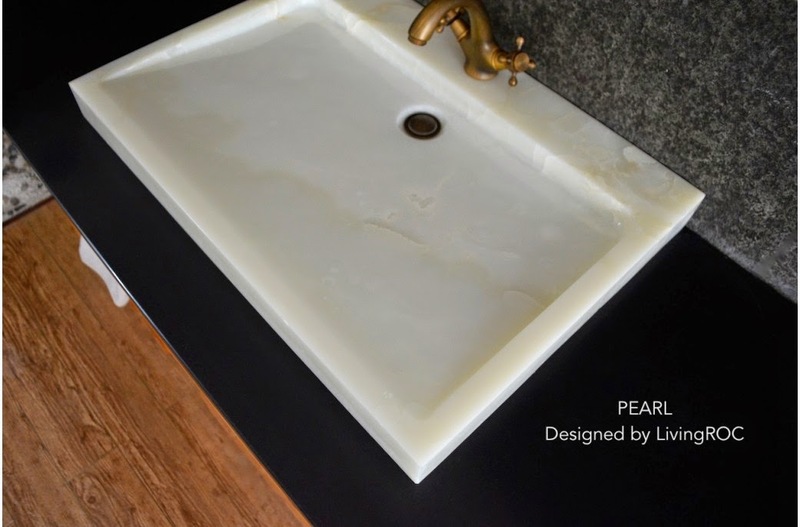 Having a double trough natural stone sink will enhance your bathroom with pure luxury. We welcome you to the world of Natural Stone products. Have a look into LivingRoc and see how we can transform your surroundings. At Gaiastone we take great pride on the values we bring into work; we are passionate about natural stone, and we are also passionate about our environment. In fact, our name, Gaiastone, means Stone from the Earth.